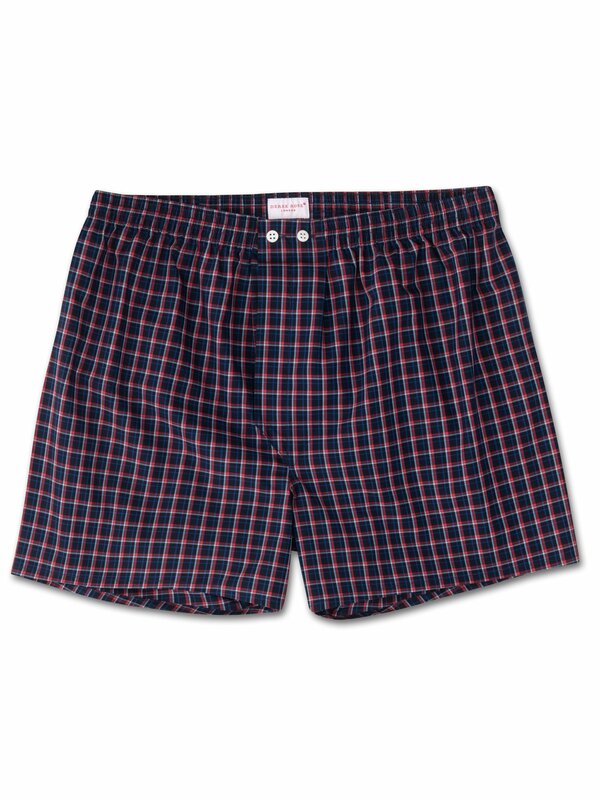 Stripes of navy, red, blue and white criss-cross to create a modern check design on our relaxed fit boxer short. Keep it cool and classic with the Barker 22. Made from a mid-weight pure cotton - this luxury boxer short is the perfect thickness for keeping you comfortable, no matter the season.